After the amazing sighting of Layla, it was time to head back to the lodge for a late breakfast. As we exited the park, we spotted some deer, grazing at a distance; but they looked different. 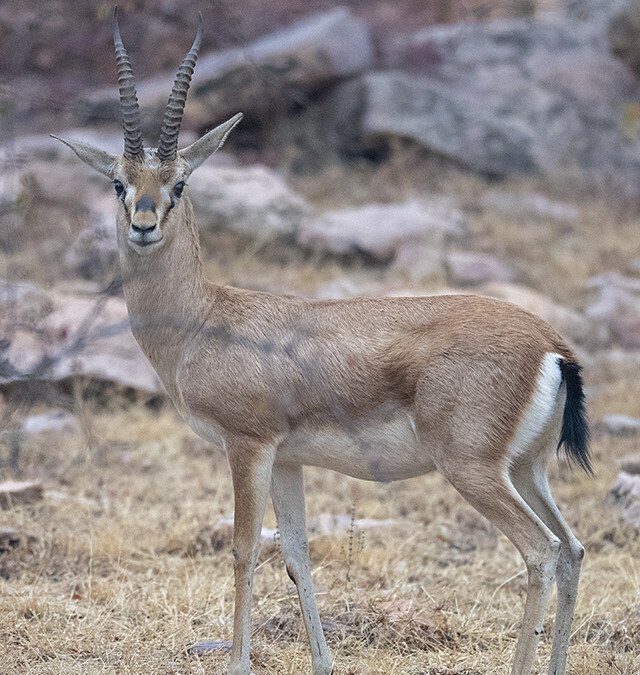 When we got closer, we realised these were the endangered species of Indian Gazelle, known as Chinkara. 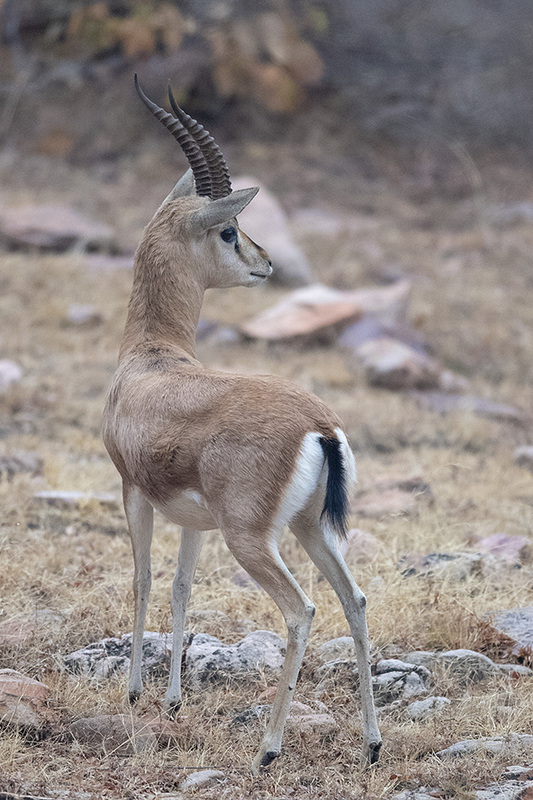 We got close enough to get a few record shots and given the rarity of this species, it made the feature image of this post. 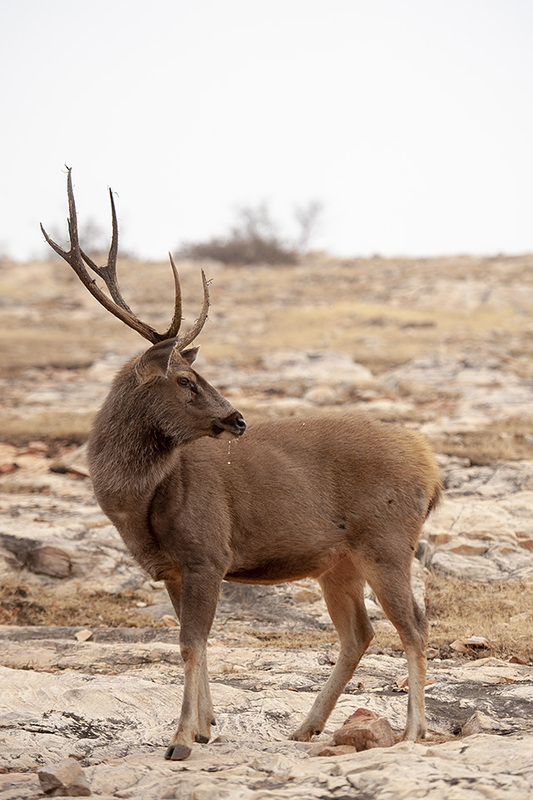 A lone Sambar Deer standing next to the road, was kind enough to pose for a few frame filling compositions before we exited the Ranthambore National Park. 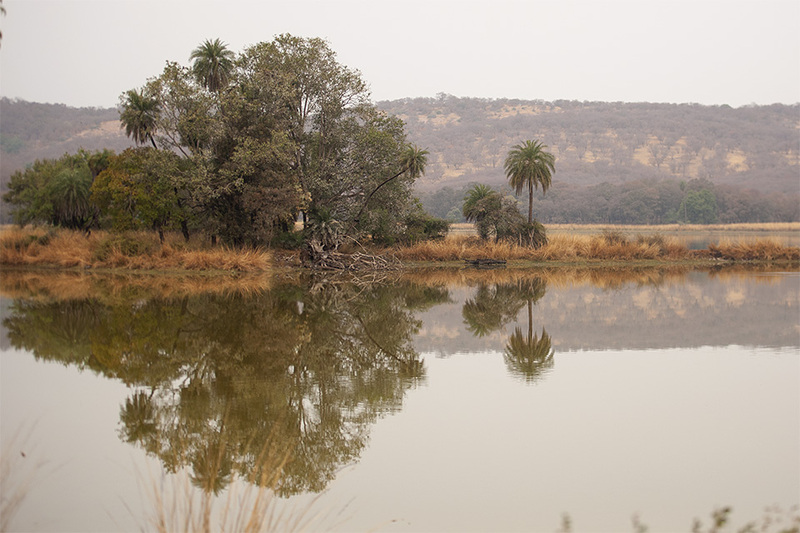 That afternoon safari was completely washed out because of incessant rains. With renewed enthusiasm we headed back into the Park’s popular zone 3. This zone is by far the most beautiful region of the park and has been showcased in many wildlife documentaries. 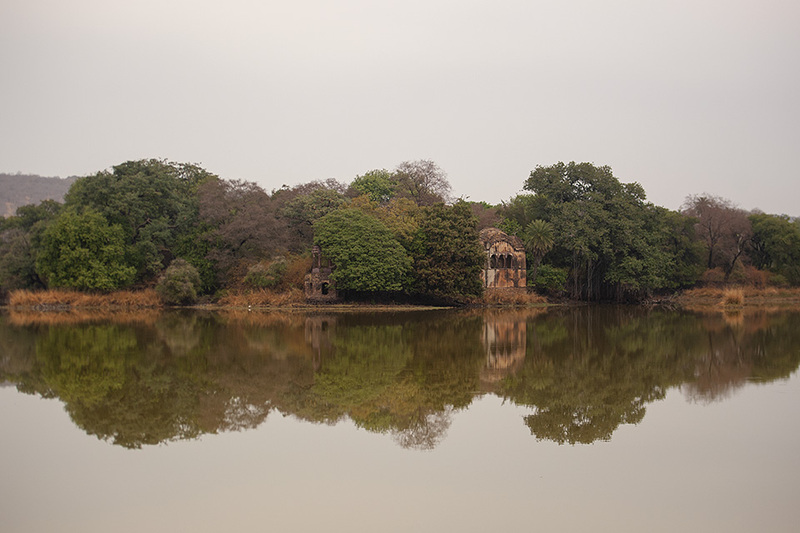 When we reached the scenic lake, the location of many famous Tiger sightings, we were alerted that a Tiger had just crossed over to the island and was hiding in the tall grass somewhere near the lone Palm tree to the far right of the picture (above). 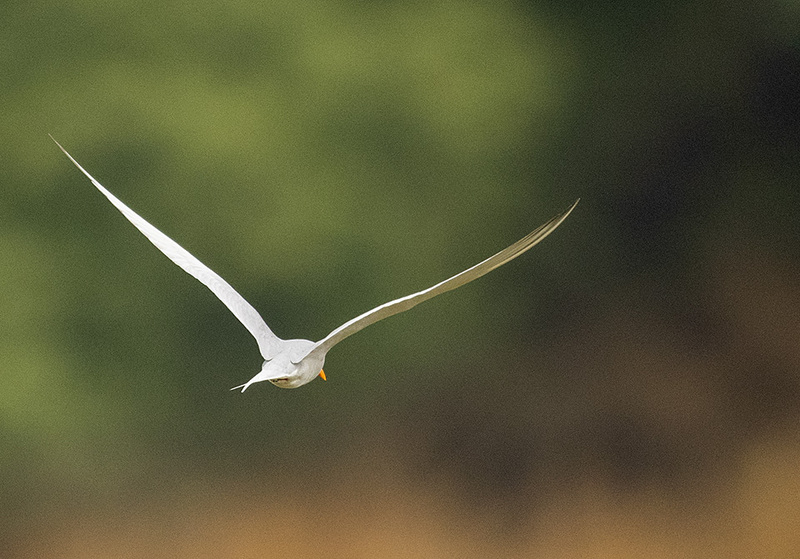 We kept scanning the landscape for over an hour; like the River Tern (below) that kept scanning the lake surface for fish; but the Tiger never came out of hiding. Soon it was time to head out of the Park. We left, hoping to have better luck during the afternoon safari.